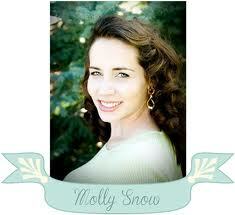 I am so excited to have Molly Snow - the author of the BeSwitched Series here at Seaside Book Nook. 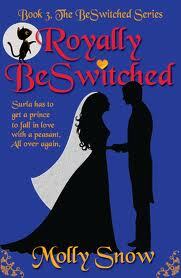 We are talking today about her latest book in the series - Royal BeSwitched! Synopsis: Hexed from a small suburb in the U.S. back to 1700's France, a magical black cat, Surla, and her human crush, Jax Morreau, have no idea what troubles await. When Jax’s distant relatives, a lowly maidservant and a prince, miss their chance at love, evil gains a stronghold in the Morreau Kingdom. It’s up to the duo from the future to reset the course of love before it’s too late. Surla, the cat, will do anything, including switch bodies with the maidservant, to clean up the royal mess. The king ran into the queen’s chamber, with a dreadful expression, locking the door behind him. Piercing screams rang out from the servants’ quarters on the other end of the estate. “What is happening?” His eyes fixed on the scene before him through the window. “We are being attacked,” Nicolas said, trying to move a heavy dresser toward the window. “By black magic no doubt,” Jax said. His ring shined its red radiance as he helped push the dresser. It easily slid along the floor to the window. He dashed around the room, picking up other large furniture, tossing them next to the windows and door, some cracking and breaking as they slammed against the floor. Everyone watched in anticipation, seeing if the barrier would be sufficient. A skeleton foot appeared, outside, dangling above the window. 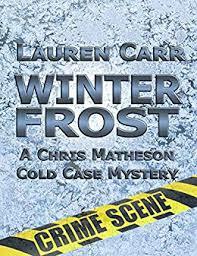 The skeleton suddenly bent over and slammed its white knuckles against the window, causing a crack in the glass, which branched into a dozen trails. The furniture wasn’t high enough to guard against the skeleton and the massive blow. Thunder boomed and lightning crashed. They could see in the flash of white, black mist seeping out from the skull’s hollow eyes. It reached back and slammed into the glass again, this time breaking through, shards flying across the chamber. There was a sudden banging at the door as the skeleton at the window climbed through, leaping on top of a dresser like a daddy-long-leg spider, hunching over his long appendages. Right behind it came another skeleton, landing like another spider. Jax broke off a bedpost and, using it like a club, he bashed in the skull of the one nearest to him. The skeleton disintegrated before him into gray dust. “Son! Watch out!” the king called. The other skeleton screeched before clamping its cracked teeth against Nicolas’s shoulder. The prince struck it with his fist, groaning in pain and anger. Slamming himself against a wall, bones popped apart, clattering into a heap. SBN: What do you like to do when you are not writing and promoting books? MS: I love to relax with a good reality show and popcorn, which I haven't done in a while. I also like to hang out iwth my twin boys and husband at the park or out to eat. SBN: I love reality shows too and I have twin girls and one son! What is your favorite food? MS: I love food so much! Sushi is one of my favorites and pretty much anything really spicy, like Mexican or Indian food. SBN: I can't eat sushi at all, but love Mexican!! I have ALWAYS wished I had magical powers and used them for good. Did you (or do you) ever wish the same? Or, maybe you are a lucky and do have magically powers. MS: I believe in good and evil and that there is real power in those. My main belief is in God and prayer for power. SBN: I complete agree with you! Do you have a favorite witch? MS: Hmmm, Idis, from my books is just a kook, but what entertainment she would be to have around. In other stories, I like The Wizards of Waverly Place. SBN: Idis is a kook, for sure! What are you reading now and what are some of your favorite books/authors? SBN: Late to the party.....no. I still haven't' read The Hunger Games, either. It is on my "to read" list! Thank you so much for the interview Molly. Look for a future review on Royal BeSwitched! Purchase it: You can purchase Royal BeSwitched for $3.99 (and BeSwitched and BeSwitched Witch) from Amazon or Smashword. Connect: You can connect to with Molly on Facebook, Twitter and her website. 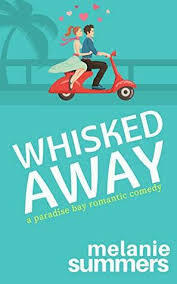 About Last Night - Guest Post Ruthie Knox!